This exquisite custom home in the highly sought after Candlewood Estates has spectacular views of Pinnacle peak and Tom's Thumb! 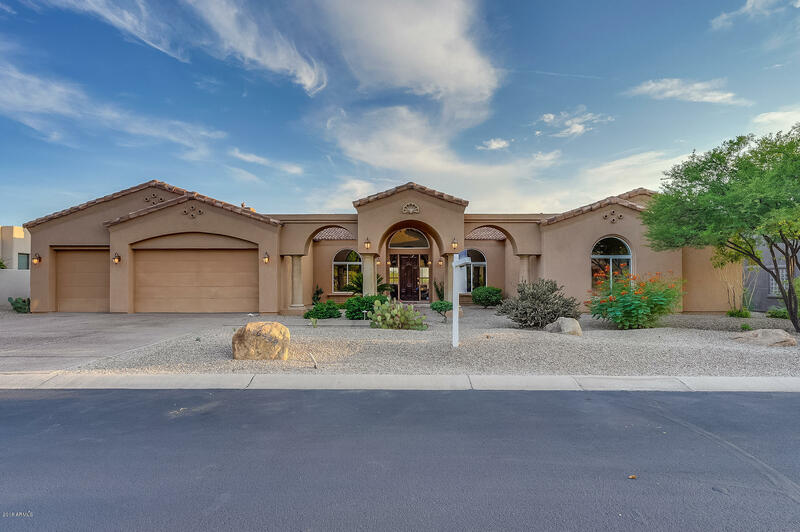 Located in one of the top guard gated communities in Troon and is a must see for the discerning buyer. This open, bright, spacious 3 bedroom, 3.5 bath, 3 car garage lies over 3216 sq ft & features a resort style backyard with a sparking pool and spa. Large patio with mountain views great for entertaining. The open layout is ideal for entertaining & each room is more grand than the next. Don't miss your opportunity to live in luxury in this gorgeous home within the prestigious community. Hiking trails are accessible and renowned restaurants within a short distance.